Good news for pork lovers and those who craving for pork (me, myself). 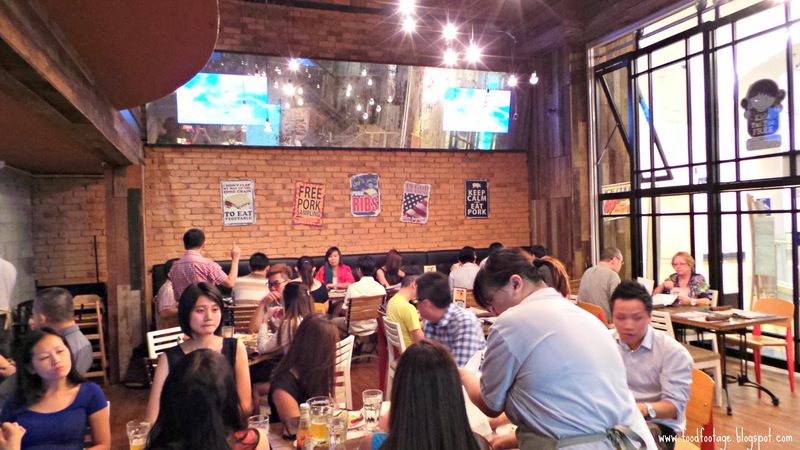 Calling itself the “Home of Sticky Bones” – (slow-cooked and smoked over coal and hickory wood in an old-fashioned way to perfection), Morganfield’s offers wide selection of black pig (Iberico pig in culinary terms) that rarely can get in KL. 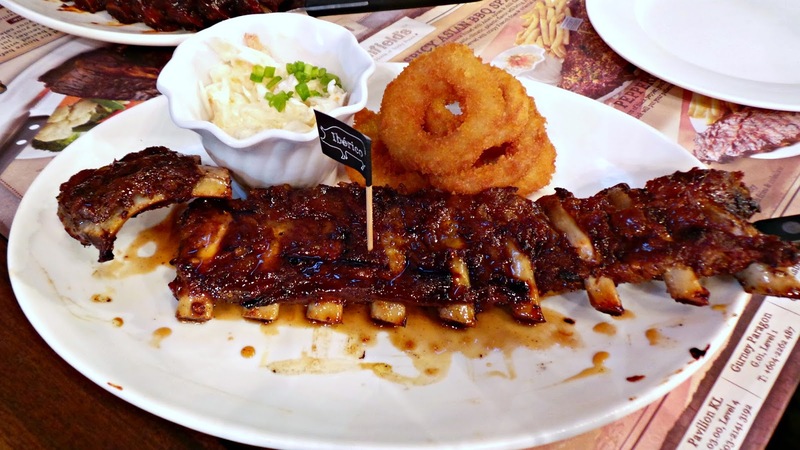 Morganfield’s is a casual diner offering Western/ American cuisine – a perfect place to relax and enjoy delicious pork ribs where great food and music reigned side by side. 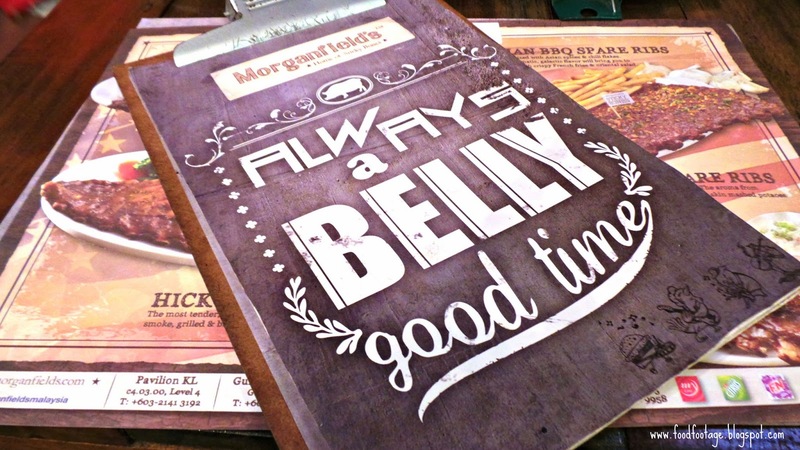 Their main attraction – hickory wood-smoked pork ribs definitely made you lick your lips and fingers (I did !!!). 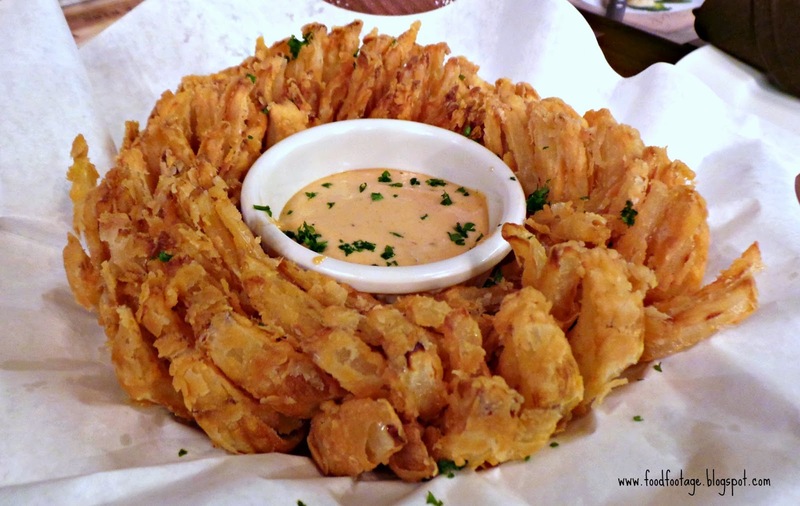 Starting up with their famous Onion Blossom [RM13.90]. This crispy breaded colossal flower was being deep fried till perfection – great if you’d like something to munch before those mains are served. P.S. : it comes with barbecue mayonnaise sauce too. This Iberico baby back is one of my favorite of the night – perfectly grilled and glazed with Jack Daniels sauce. 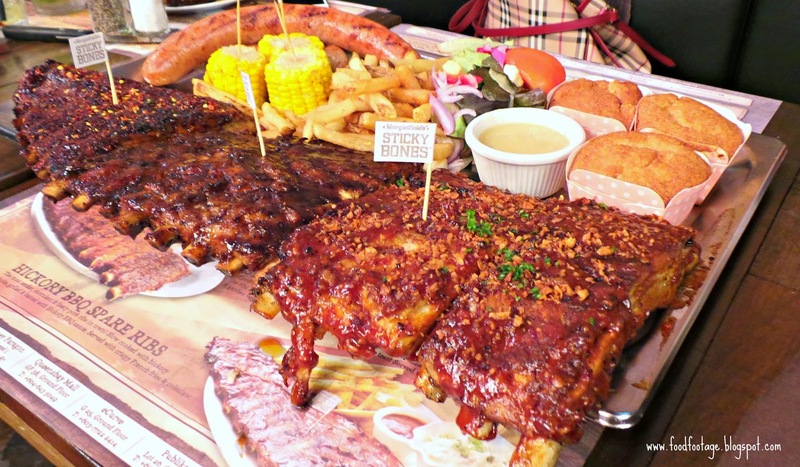 It definitely hit all the right spots and making their tagline “Home of Sticky Bones” more worthwhile!!!!! The succulently tender and juicy ribs came doused in tasty Jim Beam sauce is just basting – one of my favorite of the night. The toothsome texture of the ribs made me want for more!!!!! (mouth-watering). 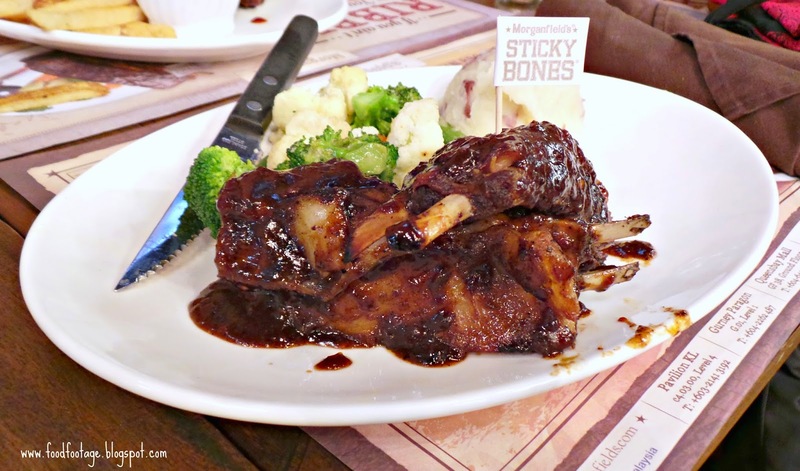 These imported beef ribs were grilled and doused with hickory BBQ sauce – tender, juicy and flavorsome. 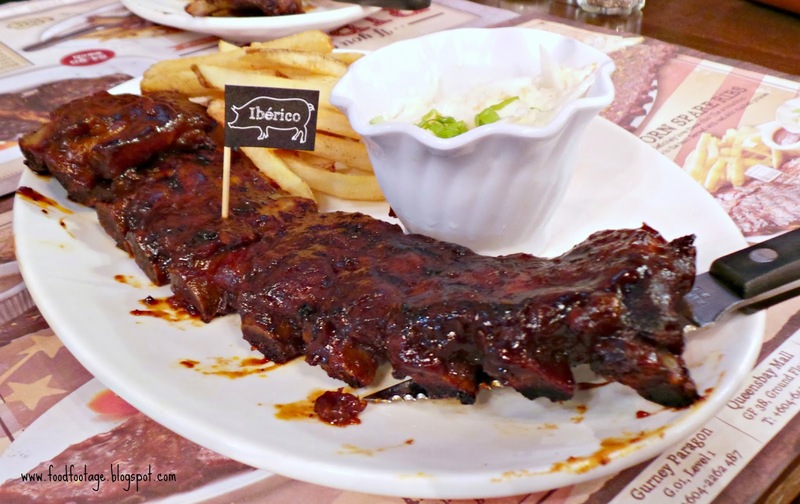 But I was to choose, I’ll go for those tantalizing Iberico ribs. These wonderful lamb rack ribs were flavorsome and delicious. 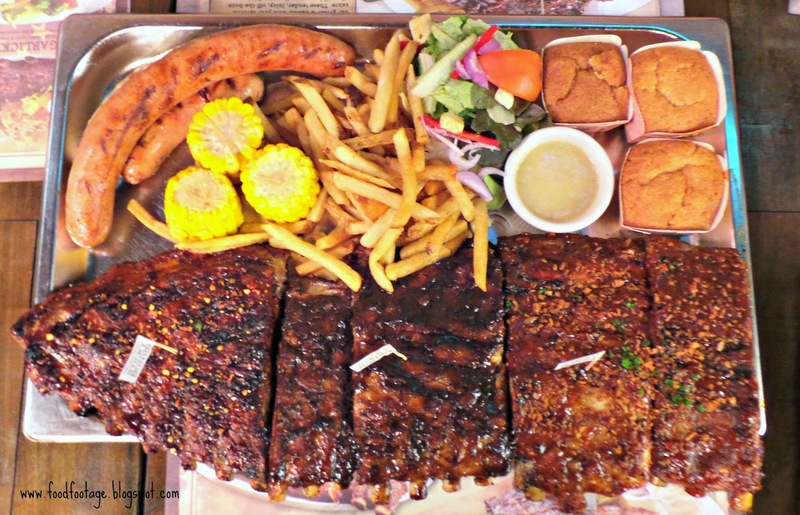 There are range of Midwestern side dishes to choose – from corn bread to smoky baked beans, grilled corn, pilaf rice and red skin mashed potato. I have to admit that both the lamb and beef ribs weren’t taste gamey. I personally like all the sauces that they offered. However, Hickory BBQ rib will be my pick among these 3 ribs as the other two were kinda too dry for me (Garlicky BBQ rib and Spicy Asian BBQ rib). Overall Rating: 8/10. 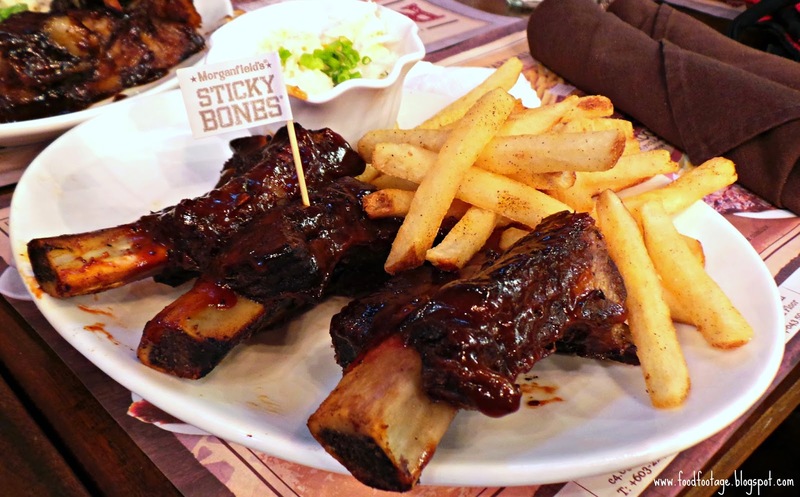 I totally agreed with Morganfield’s by calling themselves “House of Sticky Bones” – one of the best ribs in town. 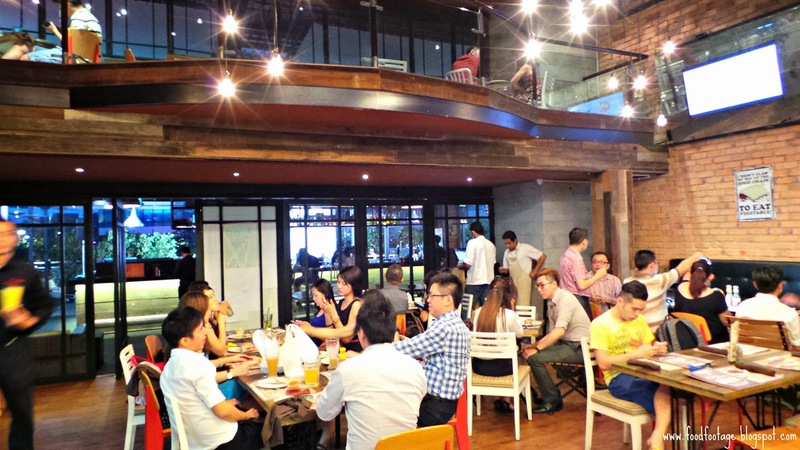 For those who coming in pairs, you can go for a choice of half slab (RM39.90) or full slab (RM69.90) of spare ribs. 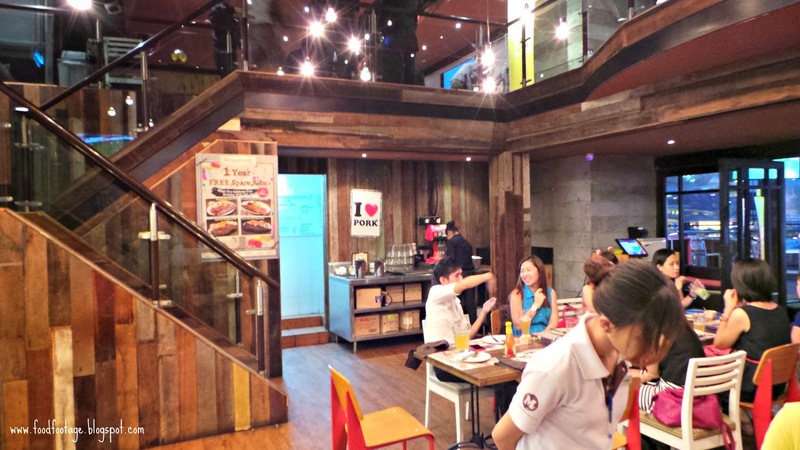 This is one of my favorite ribs place in town. Once again, I have to say this ……………. *HOLY PORKALICIOUS*!!!!!!!! !